The “Rollover Business Start-Up” (“ROBS”) Solution is an IRS and ERISA approved structure. It allows an individual to use retirement funds, such as an IRA or 401(k), to purchase a new or existing business or franchise tax and penalty-free. An IRA (individual retirement account) doesn't offer a loan option and doesn't allow you to borrow from your IRA. However, IRC 72(p) allows a Solo 401(k) plan participant to take a loan from his or her 401(k) plan. The loan must be allowable pursuant to the business' 401(k) Plan Documents. You can use a Solo 401(k) loan at any time. You can use the Solo 401(k) balance you accumulate as collateral for the loan. You can borrow up to $50,000 or 50% of the account value. It depends on whichever is less. You must repay the loan over an amortization schedule of five years or less. Payment frequency must be no less than quarterly. The lowest interest rate you can use is Prime as per the Wall Street Journal. Currently, this is 5.25% as of February 12, 2019. The advantage of the loan is that you can take up to $50,000 or 50% of the account value and use these funds for any purpose. This includes funding your business. The one downside is that you are capped at $50,000. The Internal Revenue Code 4975(d)(13) explicitly permits the purchase of corporate stock by a 401(k) Qualified Plan. This is also known as "qualified employer securities." Nevertheless, the ROBS (rollover business start-up) structure remains somewhat controversial. Although the Internal Revenue Service (IRS) confirms its legality, ROBS continues to be on the radar of the IRS and Department of Labor (DOL). This is due to a lack of compliance in certain cases. The ROBS arrangement typically involves rolling over a pre-tax IRA or 401(k) Plan account into a newly established 401(k) Plan. This is sponsored by a C corporation. It then involves investing the rollover funds in the stock of the C Corporation. You, the individual retirement account holder, can then earn a reasonable salary as an employee of the business. 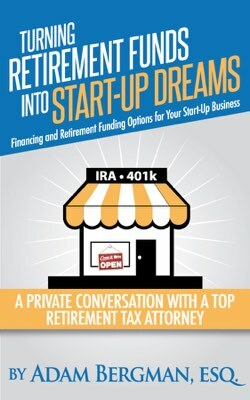 The advantage of the ROBS solution is that it allows you to use all your pre-tax IRA or 401(k) funds to buy a business that you have a personal involvement with as an employee. It involves no tax or penalty. 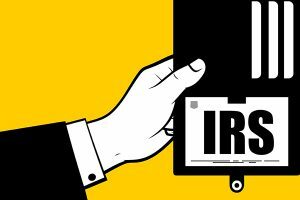 What Does the IRS Say About the ROBS Structure? Internal Revenue Code Section 4975(d)(13) makes it clear that a 401(k) plan can purchase company stock from the adopting employer. This is known as “qualifying employer securities.” The IRS and ERISA rules permit this type of transaction. Over the years, the IRS has been concerned that the ROBS structure is being abused and misused in two specific instances. The first time the IRS publicly detailed their concerns about ROBS was in 2008. On October 1, 2008, Michael Julianelle, Director of Employee Plans, signed a “Memorandum” approving IRS ROBS Examination Guidelines. The IRS stated that while this type of structure is legal and not an abusive tax avoidance transaction, the execution of these types of transactions, in many cases, have not been found to be in full compliance with IRS and ERISA rules and procedures. In the “Memorandum”, the IRS highlighted two compliance areas that they felt were not being adequately followed by the promoters implementing the structure during this time period. The employees of the adopting employer were not being offered the opportunity to participate in the 401(k) plan. In some cases, business assets were not being purchased by the business and the value being given was often inaccurate. The 2008 IRS Memorandum concluded with the position that one should be highly cautious before establishing a ROBS solution. The IRS did not offer much more guidance until August 2010. On August 27, 2010, almost two years after publishing the “Memorandum”, the IRS held a public phone forum open to the public. It covered transactions involving the use of retirement funds to purchase a business. Monika Templeman, Director of Employee Plans Examinations, and Colleen Patton, Area Manager of Employee Plans Examinations for the Pacific Coast, spent considerable time discussing the IRS’ position on this subject. During the public phone forum, the IRS made it clear that the ROBS solution was 100 percent legal. However, the IRS was continually concerned by ongoing abuse and the high failure rate of many of these small business start-ups. The IRS concluded by stating that a transaction using retirement funds to acquire a business is legal. However, the transaction must be structured correctly to comply with IRS and ERISA rules and procedures. IRA Financial did not begin working with the ROBS solution until after the IRS publicly clarified their position in 2010 that the ROBS solution is legal. IRA Financial is committed to following all compliance requirements outlined by the IRS in the 2008 Memorandum. Our ROBS solution was developed to specifically address and solve each of the non-compliant areas addressed by the IRS. The creation of our business acquisition and funding solution is in full compliance with IRS and ERISA rules and procedures. Because the IRS has stressed the importance of compliance when using retirement funds to purchase a business, it is crucial to work with a company that has the necessary expertise to ensure the structure satisfies IRS and ERISA rules and procedures. The ROBS arrangements typically involve rolling over a prior IRA or 401(k) plan account into a newly established 401(k) plan, which a start-up C Corporation business sponsored, and then investing the rollover 401(k) Plan funds in the stock of the new C Corporation. The funds are then deposited in the C Corporation bank account and is available for use for business purposes. 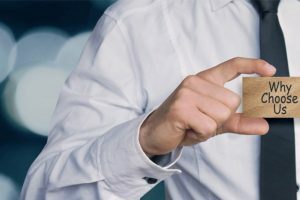 The ROBS solution is a tax efficient way for any entrepreneur looking to use IRA funds to buy a business or franchise without incurring any tax or penalty from an IRA distribution. The advantage of the ROBS solution is that it does allow you to use all your pre-tax IRA or 401(k) funds to buy a business that you will be involved in personally as an employee without tax or penalty. Prior to the Trump tax plan, the primary downside of the ROBS structure is the use of a C Corporation as the business entity. A corporation (sometimes referred to as a C corporation) is an independent legal entity shareholders own. This means that the corporation itself, not the shareholders that own it, is held legally liable for the actions and debts the business incurs. Corporations are known to have double tax - first, when the company makes a profit, and then to the shareholder on their personal return when dividends are paid. Prior to the 2018 Trump tax plan, the highest corporate income tax rate was at 35%. The Trump tax plan lowered the corporate tax rate from 35% to 21% making the ROBS far more attractive. 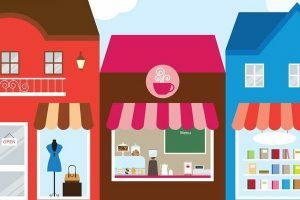 Save Money: Use the money you saved in your retirement funds to invest in a business. Invest in What You Know: Don't make traditional investments you aren't confident in making - instead, use your funds for a business investment you understand well. Diversify Your Portfolio: Invest in yourself and diversify your retirement portfolio. Earn a Salary: Invest in the ROBS solution to earn a salary in a business you're personally involved in. I want to learn more! Call us at 800-472-0646 or fill out the form and we can help you.